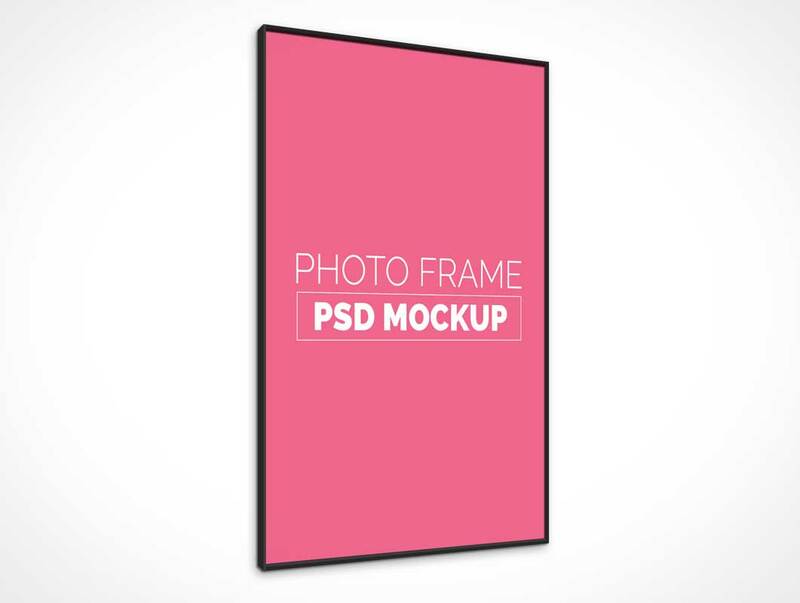 Wall Poster Photo mockup PSD is the cutest one to have released so far. This is kind of realistic environment where you can showcase your photo or poster design on the frame hanging on a textured wall. All the elements can easily be edited including the focus on the entire mockup. Drag and drop your poster design or illustration on to the smart-layer on the top layer of the PSD and save your work. You can even play around with the textures, flower and leaves by hiding and un-hiding or even replacing them with your own mood elements.